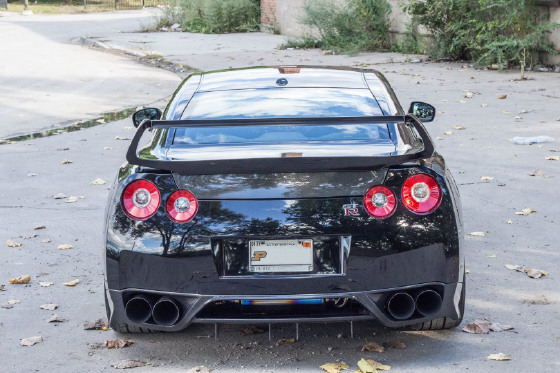 Im interested in 2010 Nissan GT-R you have listed on Global Autosports for $59,550. I would like to know more about this vehicle. 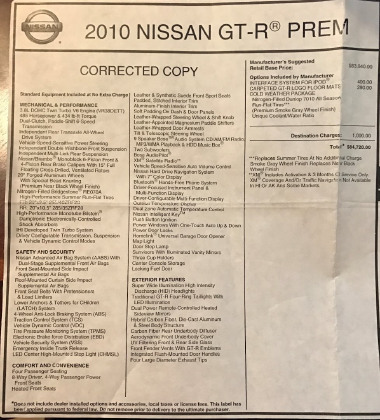 2010 GT-R Premium -- priced to sell! Gun Metallic Exterior. Black Interior. Smoke Grey Wheel Finish. Brand New All Season High Performance Tires. Brand New Battery. All Weather Floor Mats. Clear Bra 1/3 up hood, on mirrors and other key surfaces. ~14,000 miles -- yes, fourteen thousand miles. Meisterschaft Exhaust (factory exhaust also included). Front and Rear Sway Bar Kit. VIN: JN1AR5EF9AM230623. Minor curb rash on a couple of rims. Minor crack in front valence. 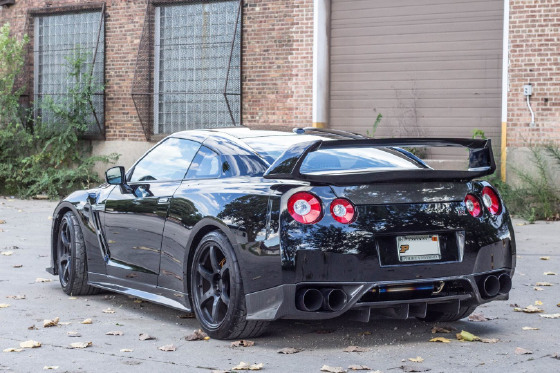 Extremely low miles for a GT-R that is in excellent shape. Never raced or abused. 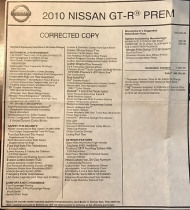 All maintenance performed by Authorized GT-R Nissan Dealerships. All maintenance records intact. This car is a ROCKET! No test drives without cash in hand or proof of funds.